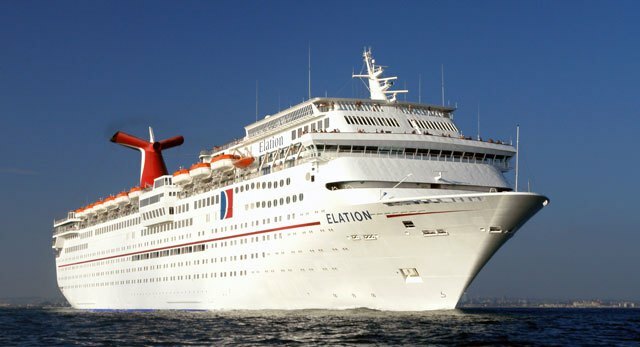 The Carnival Elation currently sails 4 and 5 night cruises to the Bahamas form Jacksonville, Florida. On May 12, 2019, Elation will begin sailing 4 to 6 night cruises from Port Canaveral, Florida, to the Eastern Caribbean and the Bahamas. On October 27, 2002, a 7-day Mexican Riviera cruise from San Diego was cancelled due to propulsion problems causing a reduced cruising speed. The ship entered dry-dock for repairs in San Francisco CA. On January 26, 2003, a 35-year-old female passenger jumped overboard. The woman was reported missing by her husband the next morning. Unfortunately she was never found. July 16, 2009, FBI agents boarded the ship to investigate the murder of a 55-year-old woman. The vessel was on the second leg of a Mexican Riviera cruise from San Diego, California. The accident was a result of a domestic dispute between the woman and her husband. On November 6, 2006, 4 passengers suffered minor injuries due to an incident during disembarkation in homeport, Cape Canaveral, Florida. A welded part of the gangway, gave way and fell 1 foot, and was stopped by the safety ropes. The jolt threw 4 of the passengers onto the gangway.